Facebook is one of the leading using social media websites nowadays. Millions of people use Facebook at the present time. There are many reasons for it. The main reason is its features that no other social media apps provide. You can easily contact your friends, family and loved ones, you can post different things on Facebook and you can share photos and videos with your friends and family.The posting system is also one of the top reasons of why Facebook is the most appreciated social media of all times. 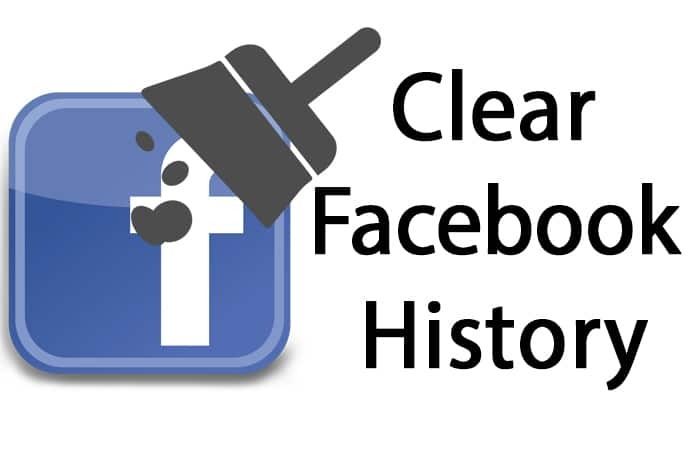 In this post, we will show you how to clear Facebook search history on iPhone or iPad. On Facebook, we can search for anything. It could include anything from a name of a person, a group name or any celebrity. Sometimes we use the search feature to find out our close friends and loved ones and sometimes we just use this to look some person’s profile. That’s so much easy. All you need is clicking on the search bar and type something there. You will see some suggestions, and you can click on a name to open that account, group or page. The searches you make on Facebook remains in the history of the Facebook app. It means you can see all the previous searches when you click on the search bar. This history storing function is beneficial for some people especially for those who regularly use the search feature for a particular job. On the other hand, the history storing feature could provide you a lot of tension. The reason is, of course, privacy. Mostly when we search on Facebook, especially some person who is very special to you, we don’t want others to see it. So you will have to delete the history of your searches. 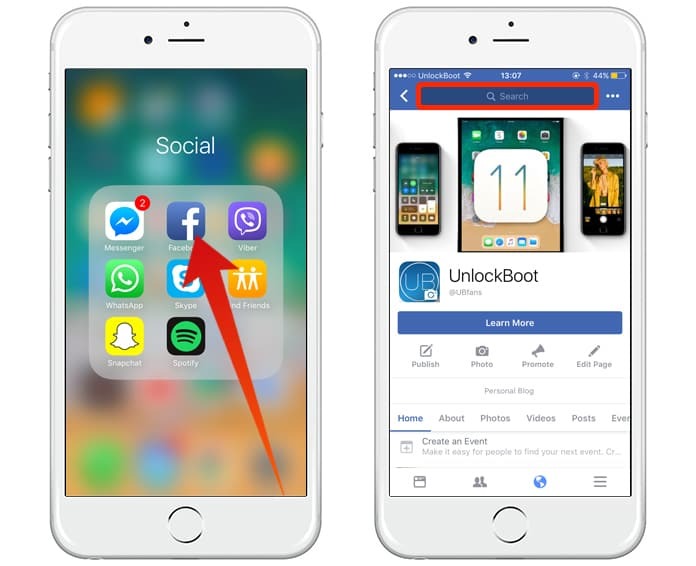 Anyone can check the search history by using the Facebook app on your iPhone. This is totally against privacy. 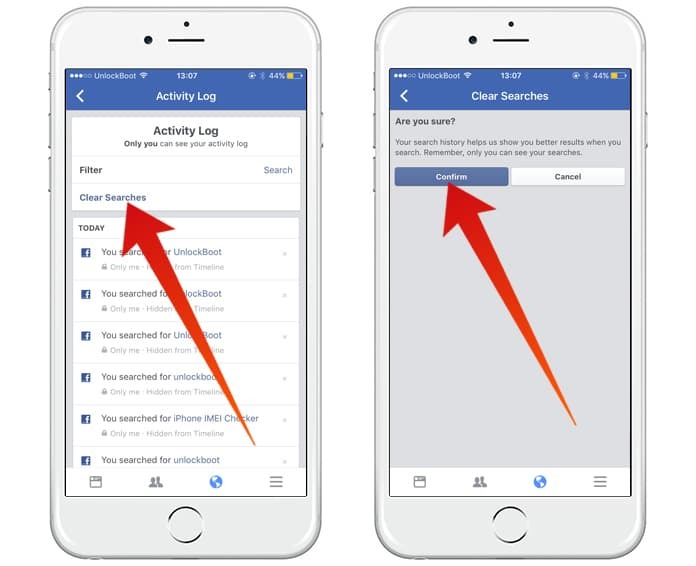 Most of the people don’t know how to clear Facebook search history on iPhone and iPad. The reason is there is no delete option on the search bar so people think they cannot do this job. However, this is not the case. 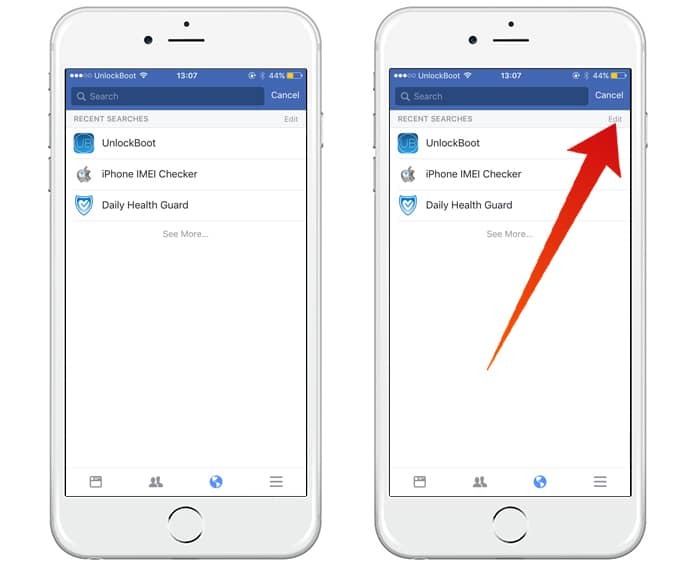 You can quickly clear Facebook search history on iPhone or iPad easily. All you need is removing the search history from your search bar by clicking on the edit button. Here is the complete process of how you can do this job. Step 1: First of all, launch the Facebook app on your iPhone. Step 2: You will observe the search bar at the top of the screen. Click on it. Step 3: You will see Recent Searches and a list of all the searches you have done till now. Step 4: In front of the Recent Searches, you will see an option named Edit. Click on it. Step 5: Now you will see the option Clear Searches. Click on it. Step 6: It will ask you are you sure about this. Click on Confirm option to delete the search history. You are all done! You have successfully removed all the search history from your Facebook. Now you can use Facebook without any problem.